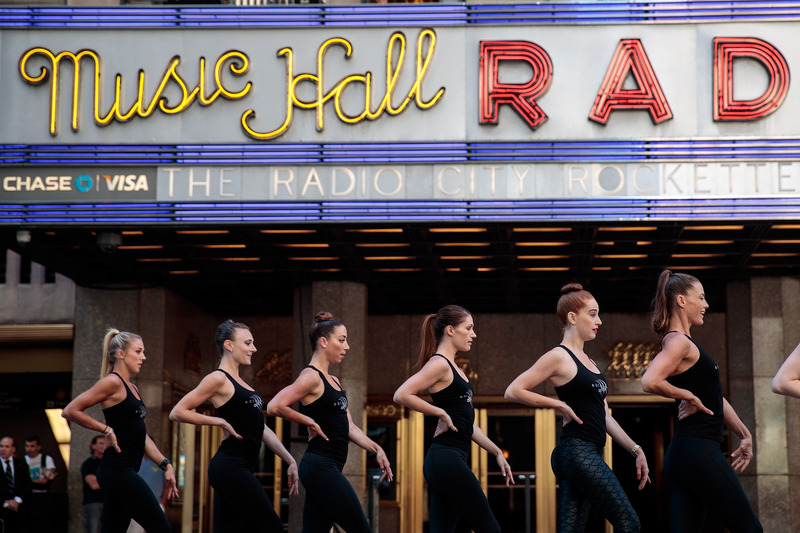 The Radio City Rockettes are the latest hallowed American institution that Donald Trump is trying to ruin for the rest of us. The iconic kickliners were announced as part of the upcoming inauguration celebration earlier this week, but not without dissension within their own ranks. At least one Rockette reportedly reached out to the American Guild of Variety Performers, the union that represents the young performers, to discuss the ability to boycott the performance. But now a protest has sparked around the AGVA's refusal to stick up for the Rockettes. Here's how to support the Rockettes since their union won't, because forcing them to perform and insisting that they should do it is not fair for anyone. Excerpts from an email written by a high-ranking member of the AVGA administration were released Friday morning, indicating the union's unwillingness to support the Rockettes' desire to boycott the inauguration performance. "We have received an email from a Rockette expressing concern about getting 'involved in a dangerous political climate' but I must remind you that you are all employees. Any talk of boycotting this event is invalid, I'm afraid," wrote the AGVA representative in an email obtained by Broadway World. "Everyone is entitled to her own political beliefs, but there is no room for this in the workplace. It is a job, and all of you should consider it an honor, no matter who is being sworn in. The election is over and this country will not survive if it remains divided," the rep continued, with the message stating that full-time Rockettes are obligated to perform at the inauguration. Though Broadway World could not confirm the consequences of refusing to perform, any abstentions could result in firing. This email is enraging for several reasons, but perhaps most because of the underlying misogyny. These women lodged a legitimate complaint, not even necessarily on the grounds of moral objection (though they certainly have the right), but fears for their safety. Yet, without the slightest reference to a real attempt to advocate for them, they are told to shut up, smile, and be grateful. The excerpts of the email published by Broadway World didn't even attempt to address the women's potential concerns or offer any sympathy for their position at all. Trump has laughed at being called a sexual predator, so it makes sense that the Rockettes might not feel comfortable performing in front of him. Additionally, there's the hostile web of social and political discourse surrounding his presidency that they will get pulled into because of this. At the very least, both the Rockettes' management and the AGVA both deserve a good chewing out for failing to show care for their employees. If you want to support the Rockettes, there are a few key things you can do. First, start by contacting the management team at Madison Square Garden, since they're the ones who booked the performance in the first place. If there's enough public pressure in the next few days, they may be able to back out, which would be the most painless way to end this conflict. Next, you can call the AGVA and ask that they support the Rockettes who wish not to perform in the inauguration. The union should be standing up for their right to sit this out, not idly allowing them to get steamrolled. Beyond that, social media is your best bet. Just be careful to avoid bringing individual Rockettes into any online conversations, unless they have specifically spoken about it online themselves. The "dangerous political climate" around Trump and the inauguration is a very real concern, and the Rockettes don't deserve to be targets of online hate. The protest around this is all about protecting these women, so make sure not to expose them to potential bullies in the process.